There was a time we users were extremely frustrated because we were unable to install Windows 8.1 using any Windows 8.0 product key. This was a nonsensical decision by Microsoft because Windows 8.1 was a free upgrade to all Windows 8.0 users, and, furthermore, Windows 8.1 could be activated using a Windows 8.0 key. But that same key couldn’t be used to install the OS. One had to obtain a Windows 8.1 key. 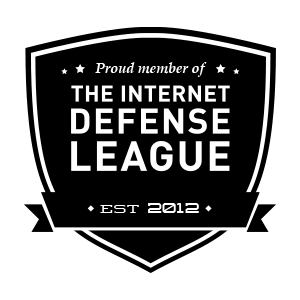 Fear not, folks. 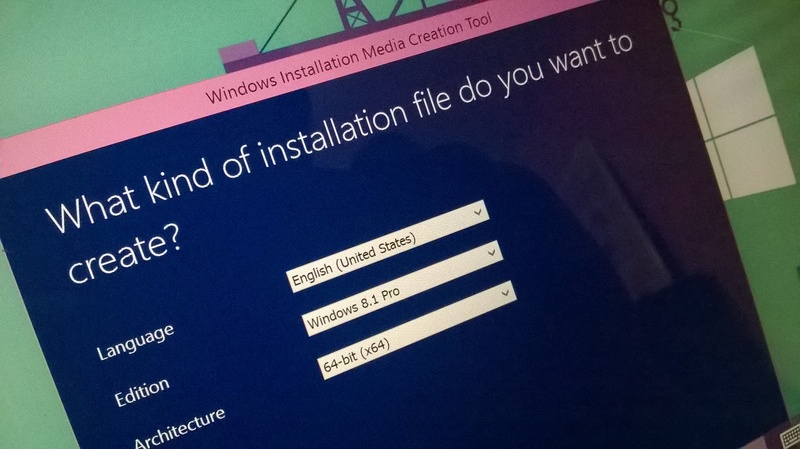 The times have changed, as we can now install Windows 8.1 using our 8.0 product key. 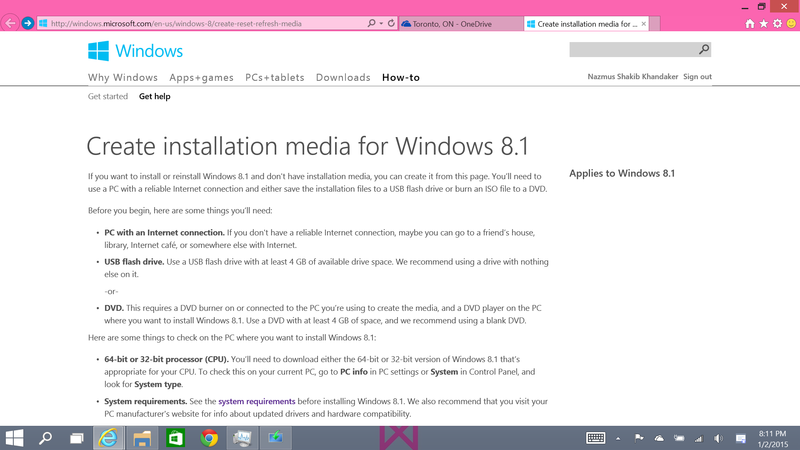 Microsoft has essentially released an updated version of the Windows 8.1 setup that accepts the 8.0 key. 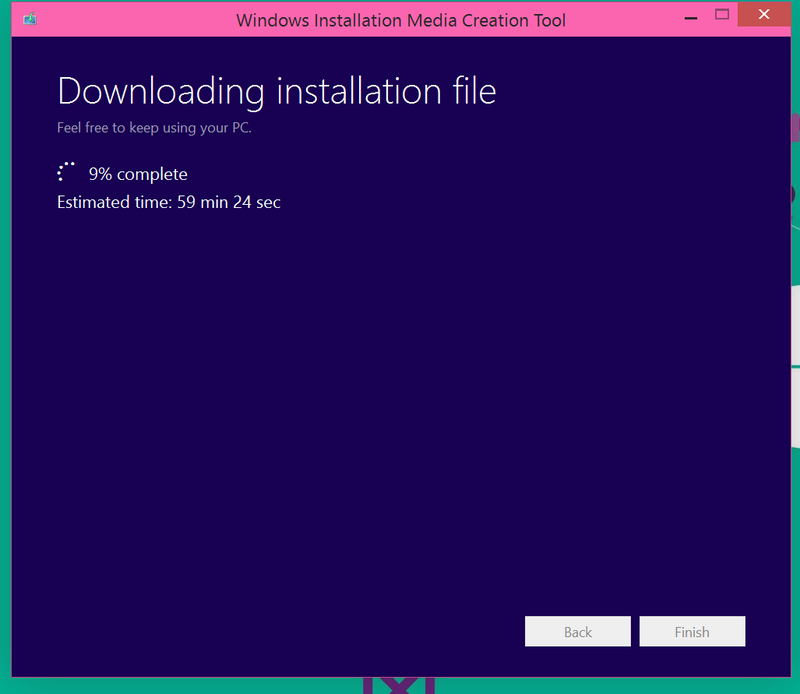 If you have an original Windows 8.1 install DVD, I recommend getting the newer version. In order to get the newer version of the setup, please follow the instructions below. 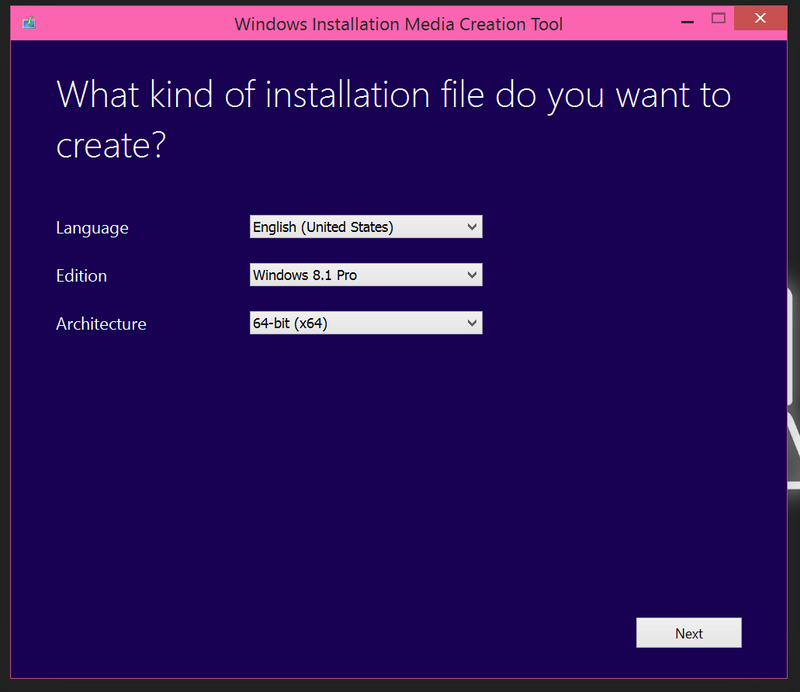 Step 6: You either now have a Windows 8.1 ISO or a USB recovery media. 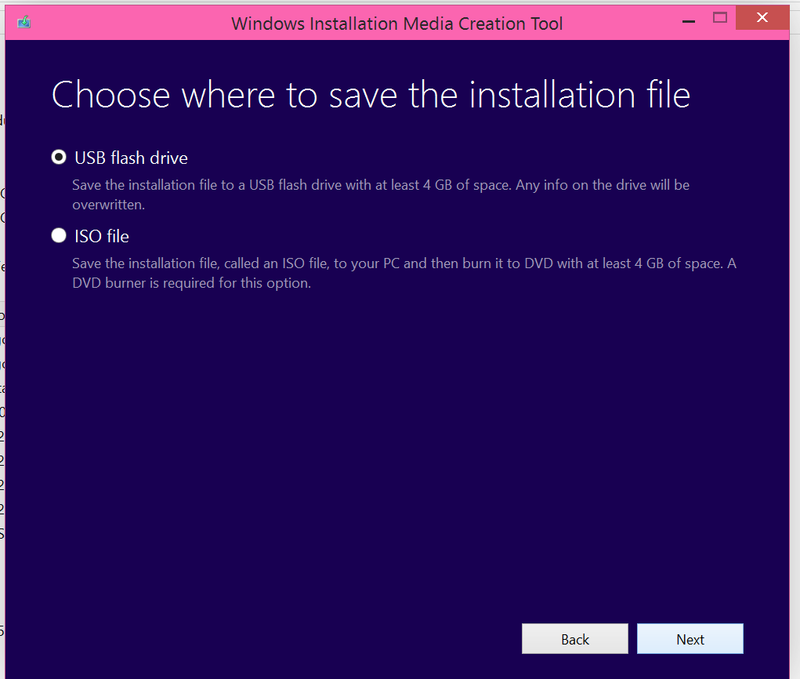 If you have an ISO, you may burn it to a DVD and boot from it, or, you may run the setup directly from Windows by mounting the ISO and not having to burn it to a DVD. 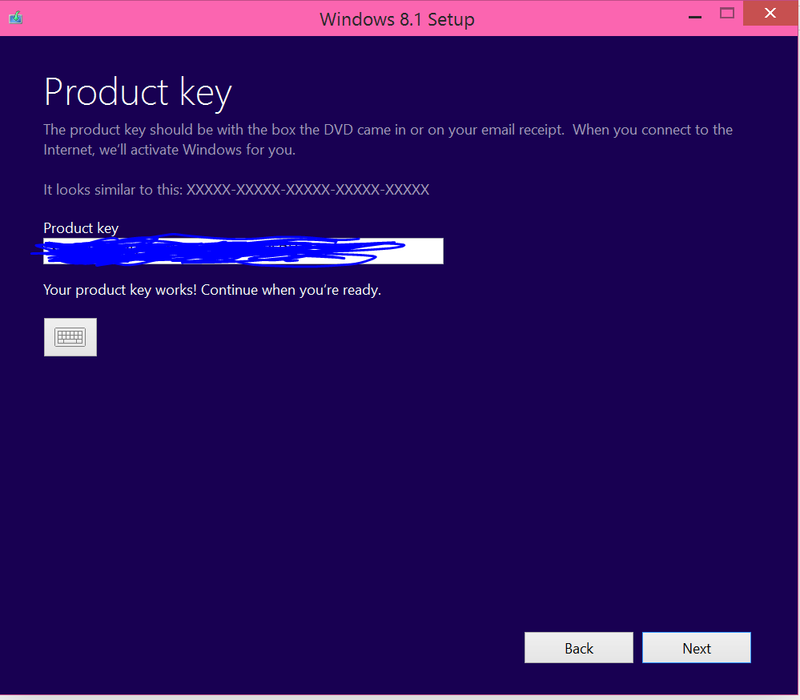 Either way, when setup asks for the product key, simply type in your Windows 8.0 key, and it should work! Enjoy, and if you have any questions, let us know! Excellent. Its really helpful. Thanks a lot.